The photos and videos were taken in April, 2014. 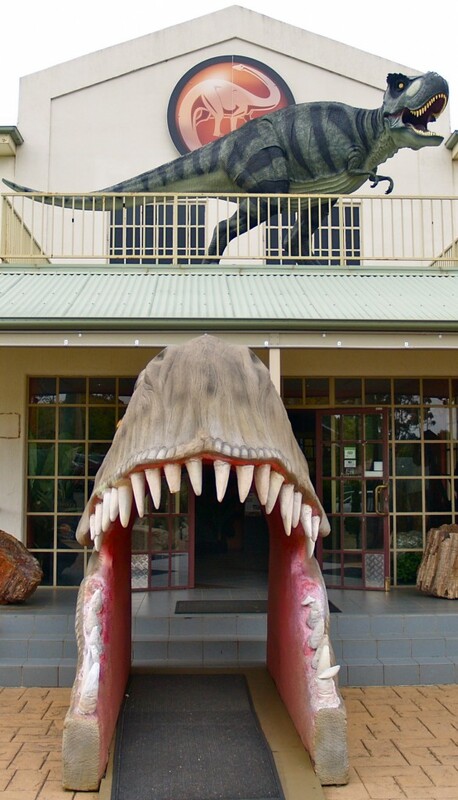 The displays may have had changes if you visit Canberra's National Dinosaur Museum. 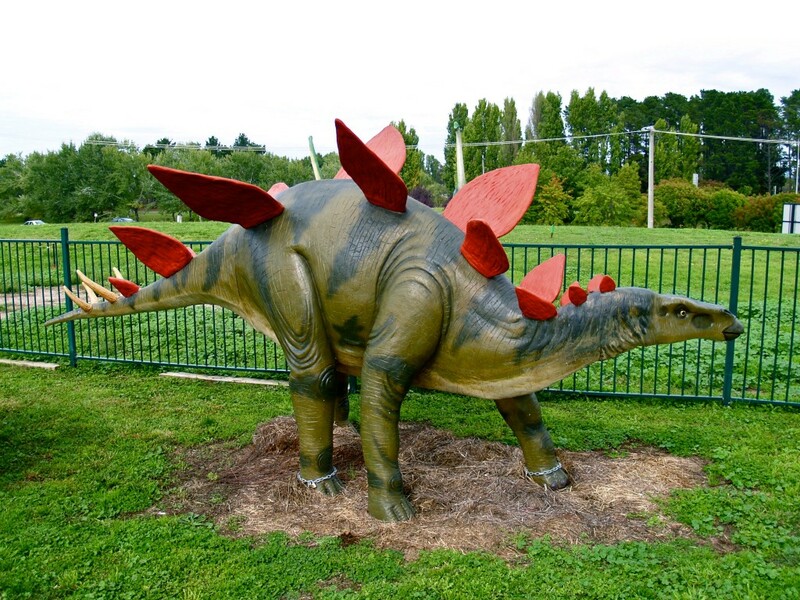 I know you are interested in dinosaurs and wanted to learn something about them. 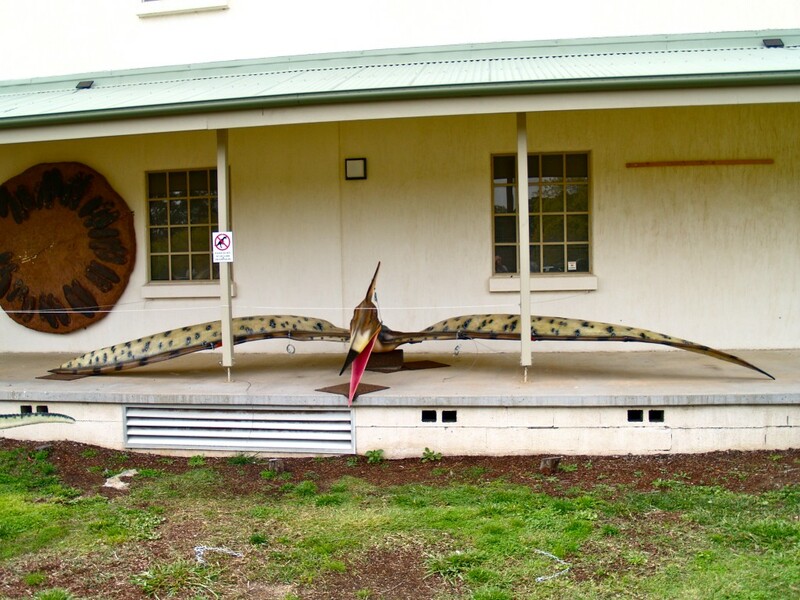 Let's start with a visit to Canberra's National Dinosaur Museum. 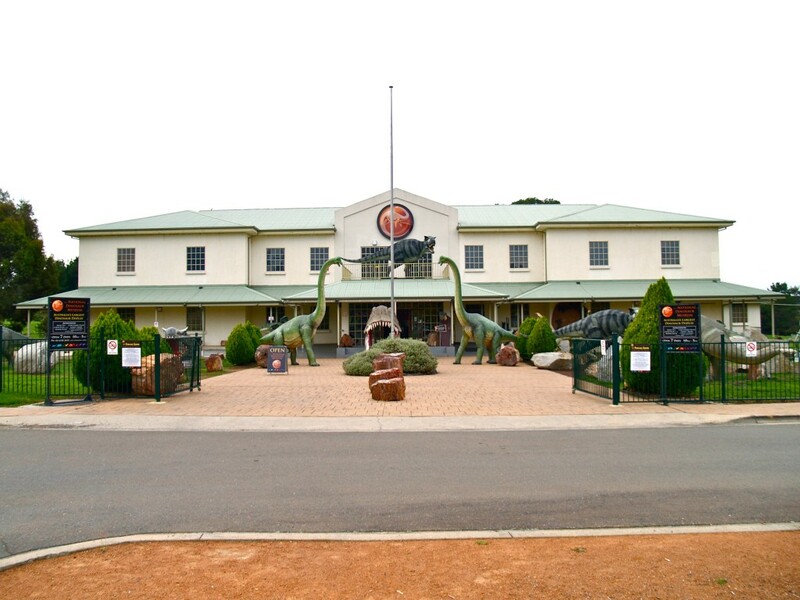 When you arrive, you can see dinosaurs waiting to greet you. Let's meet some of the dinosaurs waiting outside the museum. If you want to learn more about one of them, you can click on their names under the photo and it will take you to an information page about the dinosaur. 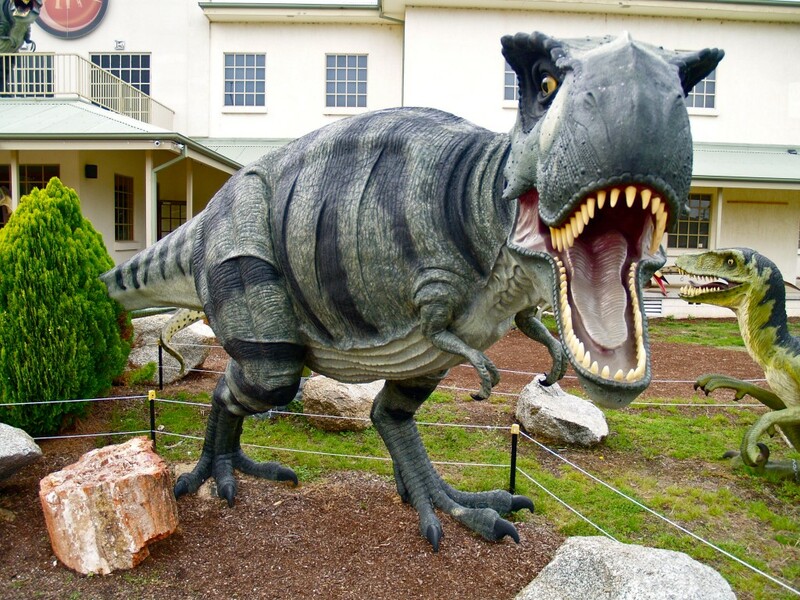 You may know the tyrannosaurus rex was a carnivore. 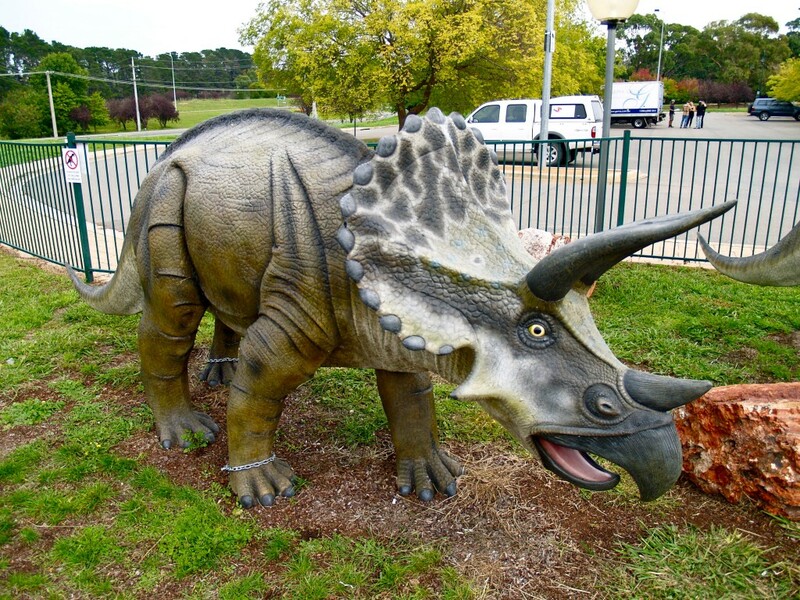 It ate meat but do you know the meat eating dinosaur below? 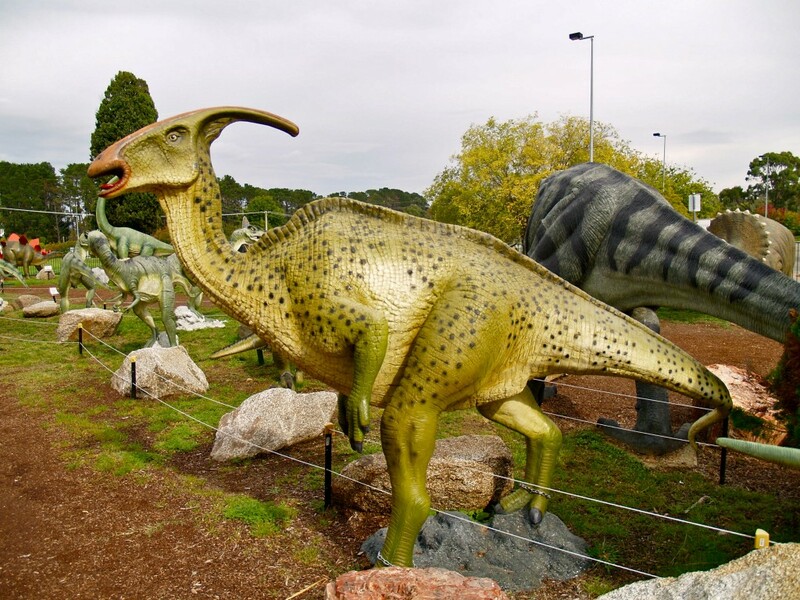 Not all meat eating dinosaurs were as big as these. Did you know there were smaller dinosaurs who would hunt together? 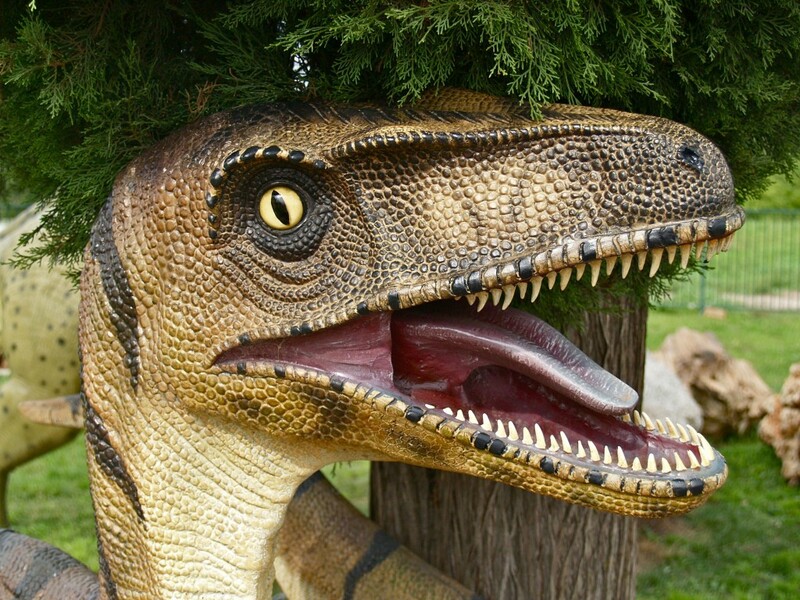 Velociraptors might only be 60cm high and 1.6m long but the Utahraptor was bigger. 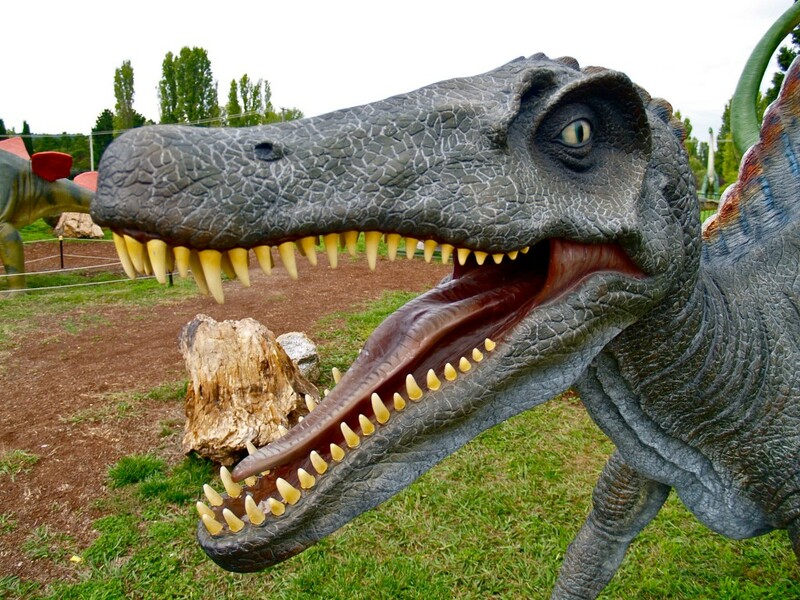 Let's meet a Utahraptor. Not all dinosaurs were meat eaters. We don't really know what colours dinosaurs were. Fossils don't show colour. The colours you see are guesses. We don't know what sounds the dinosaurs made. Like colour, the sounds are also guesses. Scientists can make guesses about how dinosaurs looked by looking at fossils. 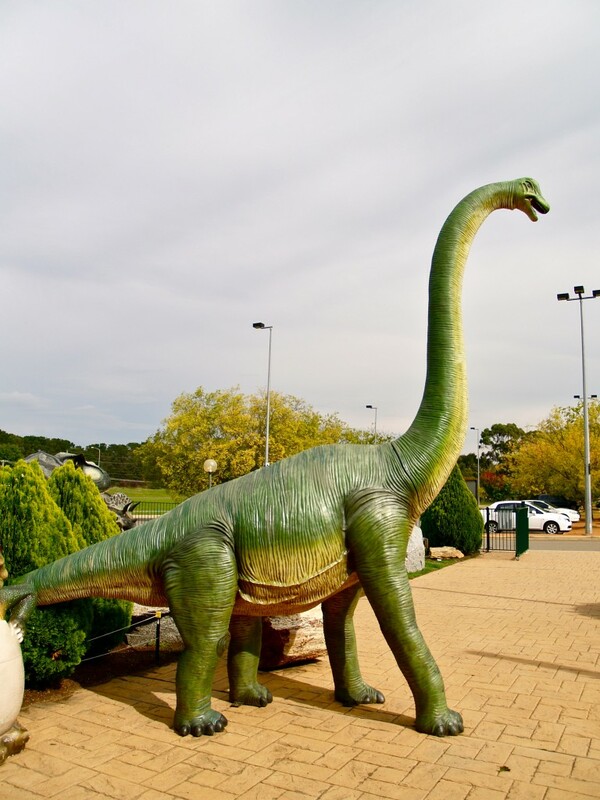 Posted in Animals, Fossils, Geology, Rocks and Minerals and tagged Canberra, dinosaur, fossils, museum, National Dinosaur Museum, paleontology on April 23, 2014 by rossmannell.